Everyone loves S’mores. They are as much a part of camping as campfires & sleeping bags. The old standard is a good way to make them but it would be tasty, once in awhile, to mix them up a bit. 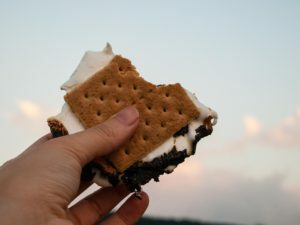 You read about 39 deliciouous ways to make a S’more by following the link below. Go ahead and try experiment during your next camping trip. Your family will happily be the taste testers for your experiements.